Hello my friends…we just had a heatwave in Germany….. Now, don’t get me wrong, I love good weather, but when it’s too hot and humid to move, it’s not for me. During the last few weeks I experienced a loss of inspiration, feeling kind of blah….did not feel like writing, making collages or doing anything that’s fun. I‘m just wondering…has this ever happened to you? Somehow you want to write something, paint something, create a video or whatever it is…But all you can do is stare into space and there is no spark of inspiration to get into action. Now what can you do when this happens? One thing that helps me is to have the book the "Artist Way" nearby and read a chapter, it's the "bible for creative people." I also have a list of blogs bookmarked and when I need a “pick me up”, I read some of their material or watch their videos.That helps, most of the time…. When I want to write a blogpost, but feel blah about the state of the world or think… Well who wants to read another blogpost, there are millions out there already…. I listen to Dr. Lance Secretan, a leadership teacher who creates inspired environments all over the world. Dr. Secretan teaches the "Higher Ground Leadership Course" at CoachVille, my wonderful school…I just watch one of his videos to put the wind of creativity and hope back into my sails. He uses a great tool: Spirit Cards, their purpose is to help you invite spirit into your work and life. One other great way to get back into the groove is: Visualize a time when you were totally on fire… working on something, being blissfully absorbed in the activity. Can you get into the movie? Music triggers the flow of creativity too, so creating a playlist of your favorite music, will be a fun action. What is it for you? Beatles, Rolling Stones, Cat Stevens, Nirvana, Bob Marley, Mozart, YoYoMa? Whatever it is…put your headphones on and start singing to the music..
Maybe you want to be bold and start moving to the music…. there is nothing better than dancing, to get out of your mind into your body. Feel the movement, feel the joy, let it take you over. One of my passions is 5 rythm dancing…… psssst it's a secret. Oh, one last tip…Go to a different place to work… like a nice cafe, the library, maybe your garden or the park, sit next to a creek under a tree, listen to the birds and wait what happens. 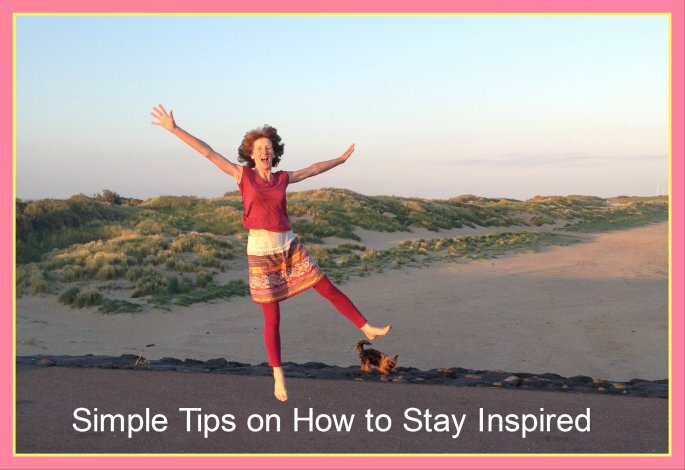 Ok my friends that’s it for today….Do you have some more empowerment tips? Please share them for all of us to enjoy. Sounds great doesn’t it? Superman powers, Yoda powers, Angelic powers, Psychic powers, Divine powers. I sure want them, what about YOU? Theses are actually not the powers I would like to talk about today….. The super-powers I am talking about are very real and yes, every human being has them. They are energy forces within your system that youl have access to. There is a trick though…….you must be aware of them. 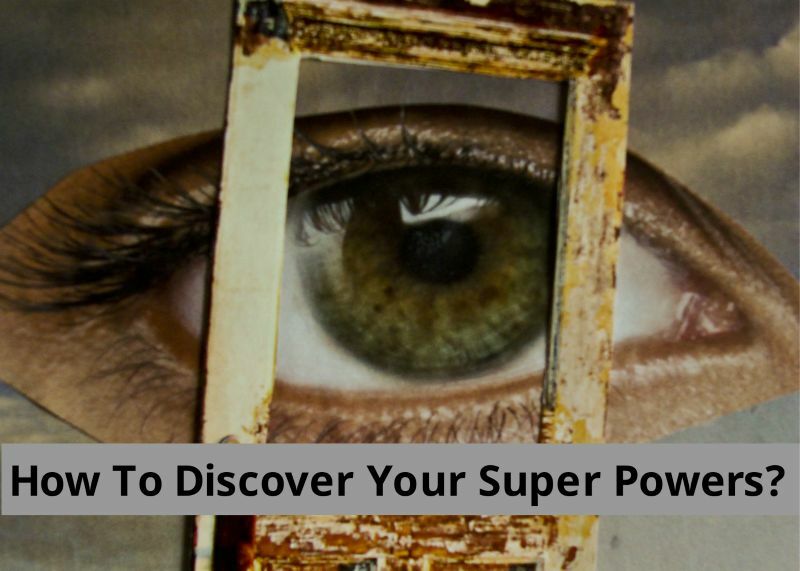 Some of these super powers are conscious and some are subconscious, but even knowing about the subconscious ones will help you in your life as long as someone points them out to you. My coach introduced me to human design and I found it soooo fascinating that I started to immerse myself into studying and now I get great results using some aspects in my coaching. Ok, now the big question: what is it and how can this be of practical use for you? …. A human design chart is an interesting looking chart based on many aspects from Astrology, I Ching, Kabballah and Chakras. It’s called “a system where science meets spirituality”. The most important fact is that when you learn about your uniqueness and how to express your uniqueness, you will be able to create a great life. One of my superpowers is my “gut feeling” a built-in guidance system, so as long as I listen and I am aware of it; my gut feeling tells me what I should focus on and what to let go of. I can’t go and make things happen I have to wait until something happens that awakens this gut feeling and then I can respond. This was a life saver for me, because I always tried to make something happen and when it did not work I was FRUSTRATED as hell. Another superpower is my curiosity, which is always interested in things, in new programs, new ways of being, travel, transformation and sharing with people what I just learned. For years I was trying to be an expert and it actually killed my creativity. My unique way of presenting myself is to share my curiosity with others and stimulate them with my creative flashes. The last one is my sense of timing… I was born and raised in Germany with never ending schedules and rules; when I had to what. My unique design is the opposite; I have to follow my own rhythm in order to be happy, I have to “go with the flow”. It is essential for my well-being to honor this. As a result of not knowing this, I always thought that there is something wrong with me. Now that I know, I can live my life accordingly and not schedule every minute of my day. Can you see the practical use in your life? I can’t even tell you how good it was to know this………….. It has changed my life. One other part is that my feeling of self-value fluctuates depending on who is in my environment, so it’s not my stuff. When I feel low self-worth I sense whatever people feel who are around me, this energy affects me. Being aware of this has helped me to look at feelings from an observer perspective. What is mine and what is yours and I do not have to be so affected by everything. Ok my friends this is only a very small part of how to create a great life, there is a lot more to it. Are you ready to change your life from blah to great? Contact me and sign up for a complementary, 2 part exploratory session, where you will meet your own superpowers………..wow, how awesome is that? PhD Director, Persuasive Tech Lab Stanford University. The best is: his program “3 Tiny Habits” is free. I will sign up myself, it’s never too late to learn new habits to achieve your life goals and empower your life. This is is what he says: to create tiny habits you can change your life forever. My new program “3 Tiny Habits” can create new behaviors in your life. Let me explain . . . I’ve studied human behavior for 18 years, mostly at Stanford University. Here’s what I’ve learned: Only three things will change behavior in the long term. Creating an epiphany is difficult. You should rule out Option A unless you have mystical powers (I don’t). But here’s the good news: The other two options are practical. And they can lead to lasting change if you follow the right program. However, few winning programs exist. In December of 2011, I created a new way to tap the power of context and baby steps. Over 3200 people have since joined in. The results are the best I’ve ever seen in any program. My method is surprisingly simple, but the impact is big. See what people say. sounds good, doesn’t it! I will let you know what I think about his program, if you have tried it leave a comment below. Find out more about how to get into the creative zone and create our lives now. “Nourish your spirit” is the motto. How to find joy and fulfillment in life, get in touch and express your inner creativity in a community of like minded women. Click the blue link, or the image to join our community of women at Creative Life Now. Are you looking for support, friends, ideas, tips, motivation and inspiration? 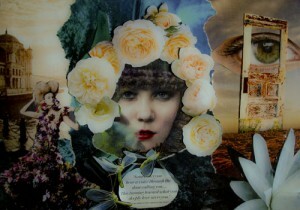 The subjects are: Creativity as meditation, Vision Boards, Collages and Creative Writing. Let’s support each other and share ideas. A melting pot of experts in the fields of Creativity and Healing, Vision boards, Collages and Creative Writing and women seeking expert advice and inspiration. This E book: “The secret behind Creativity”, is free for you! I am so delighted to present my friend and super talented Designer, Artist, Creator: Holly Emrick. We have a lot in common as my background is also Interior Design and Art. We both love to create beautiful things out of nothing, like scraps of cardboard, pieces of paper, shells, plywood pieces, fabric remnants etc. I hope you enjoy her post as much as I do. In order to be happy we need to nourish our spirit! Let's start now to make our lives juicy! Friends, family, travel, adventure, music? Mmmm. For me it’s all about creativity. My name is Holly Emrick and I am an Interior Designer, Teacher, Writer, Artist and Creator. I was born to create and nothing makes me feel as good as when I’m doing it. 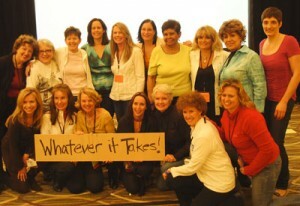 I am so honored Marita has invited me to do a guest blog. Her passion for sharing is such a blessing for us all! I’m often asked what inspires me in my design and art. All I can say is that I am a master observer. Every day I am bombarded by colors, textures, scenes…..you name it. It certainly isn’t always visual….rather often a composite of different senses. I might catch a scent on the wind that brings forth a vision. Or discover a taste in a dish that inspires creating a new recipe. I feel we are all surrounded with stimulus that can help us create, in fact; perhaps it is that great wealth of stimulus that stifles people. With so much around you it’s possible to feel it’s already been created….or someone else has done it better. Here’s the thing: No one can create or give forth unto the world what you do. Period. And it isn’t all about cooking or painting or taking an amazing photograph. It is as simple as turning right someday where you previously always turned left. It is “allowing” something to come to you instead of chasing after it. It is making a conscious decision to be open and discover. So I say, step out, hold no preconceived notion about what you can or can’t “do” and release yourself onto a piece of paper…or on the chopping block. Just let go and see what presents itself. It’s fun. It’s magic and it’s your gift back to your creator! Holly Emrick works as an Interior Designer and Artist in The Rocky Mountain Region. She has been involved in design and art for over 20 years. Last year she debuted her new website http://www.greenhomedesignsource.com in order to share fun and inspiring ways to green your décor and live sustainably. Her newest dive into design and play can be found at http://www.greenyourselfsilly.com a membership site centered around living your best green life with tips on everything from design to desert. 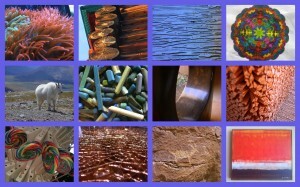 I love Holly's site she has wonderful tips on design and art projects. If you need design advice, or some inspiration you will find it there. Do you have a story you would like to share? I am looking for women over 40 who changed their lives and finally allowed themselves to do do what they love to do, or a good vision board story. Click here for more information. "Nourish your spirit" is the motto. How to find joy and fulfillment in life.Click the blue link, or the image to join our community of women at Creative Life Now, my new membership site. Are you looking for creative community, ideas, tips, motivation and inspiration, how to find joy and fulfillment in life? Let's support each other and share ideas. A melting pot of experts and women seeking expert advice. Well done, I am sometimes in a funk and life looks bleak, it is wonderful to be reminded that it is ok, breathe through the challenges and it will turn around. It always does. We all have good times, where we are inspired, feel creative and all is well. At other times, we might feel stuck, uninspired and not very creative with our lives. It is so good to be reminded that everything is changing all the time and that we can make a difference, in our lives and the people around us, by being grateful and positive. The good news is that it can be learned, it is a habit to default to negative thinking and we can learn the habit to go into positive thinking. Let's start. What do you think, do you want to try, please leave your comment below.